Our bus from Pammukale took us straight to our seaport hotel in Kusadasi. The view from the room was to die for. But the room itself seemed to have been designed for the 60’s; no one had imagined there would be personal devices that would need additional electric points in the room. We negotiated with Ondur the taxi driver, to drive us to Virgin Mary, Euphesus and drop us at Selcuk railway station – for 120TL. From Kayseri, we got off the bus near Pammukale and were driven to the city on a free feeder bus. It later turned out that this was an agent selling his own local services. 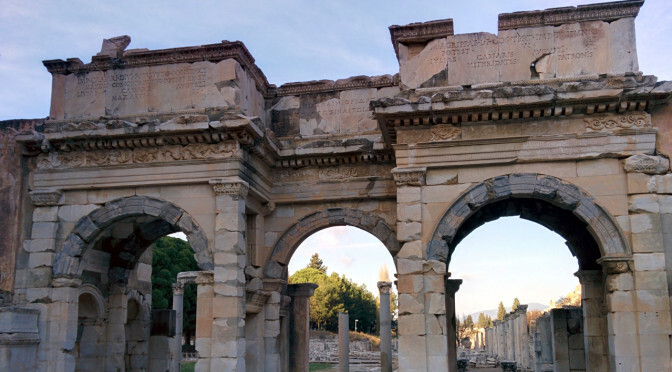 We teamed up with Balan & Kavita to rent a car and head straight to Aphrodisias. 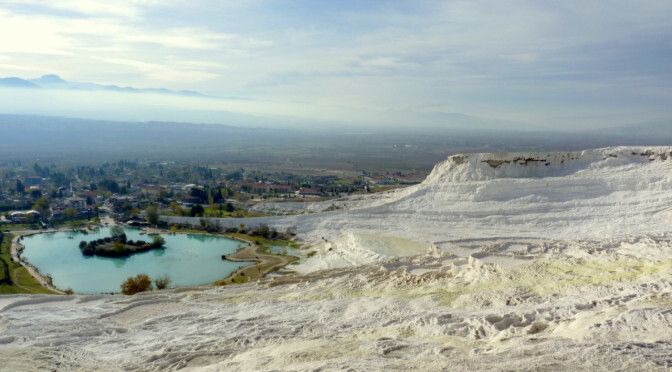 We headed back to Pammukale to visit the world heritage site of Hierapolis. From here, we headed to Kusadasi for Day 6 of our Turkey Roadtrip.